I have a full time corporate job. It’s pretty cool. I work with great people that have become wonderful friends and mentors. It’s not 40-hour a week job. It requires a bit more. Sometimes I have conference calls at 11 pm to Singapore. Sometimes I answer email from the UK at 4 am. But with anything it requires balance. And I have good balance there. I have a part-time job. I burn a different type of energy at Times Ten Cellars than I burn at my corporate job. I get to be loud laughing, wine pouring, fun Nisha. And seriously, it doesn’t hurt that I love wine. Working there, gives me life. That’s the only way I can describe it. I’m only there once a week. But it takes a big chunk of my Saturdays. When I heard about my ASG’s sewing retreat, I was all in. 3 days of uninterrupted sewing time. 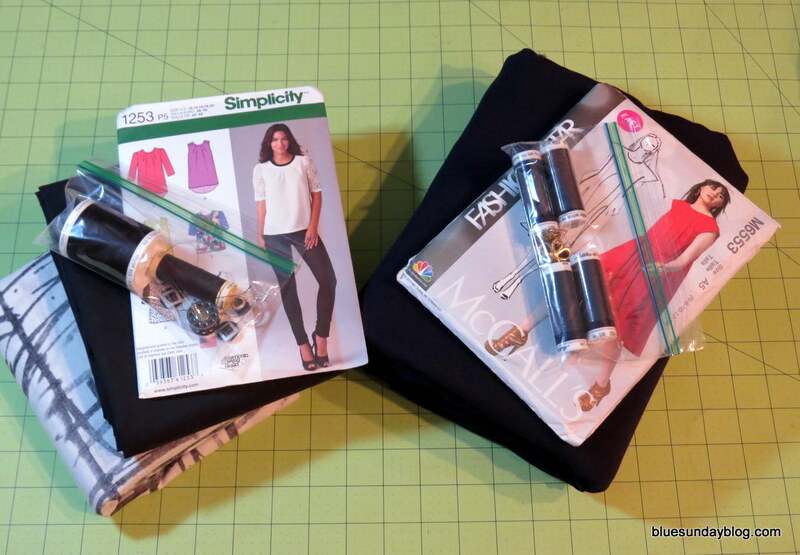 Sew, Sew, Sew … all the day long. Day 2 – repeat. Day 3 – repeat. Go home. The thought is so very appealing. I get to have my first retreat experience from two sides. I’m part of the event planning team, and I get to attend as a participant. The planning part was pretty easy. Securing a location and logistics emailing the participants. Well, there was a bit more involved, but once I got those things done, I could focus on being a participant. As a participant, it’s a whole other ball game. The retreat is this coming weekend. Should I just pack up my whole sewing room? Bring all my patterns? Pack most of my fabric? That thought was a bit overwhelming. I pictured myself spending most of my time trying to organize and dig through boxes to find things. Not a very productive use of my three days. I needed a plan. I started where I usually start when making a plan. I made a list of the things I believed I needed to consider while planning. Since I’d never been to a sewing retreat, I googled to see what other people’s experiences were. One thing I found was a lot of people didn’t know what type of sewing environment they would be in. For example: How much sewing space would each person have? Are irons and ironing boards on site, or should they be packed? Since I was also retreat planner this clued me in on the fact that I needed to communicate exactly what people would have at their disposal. 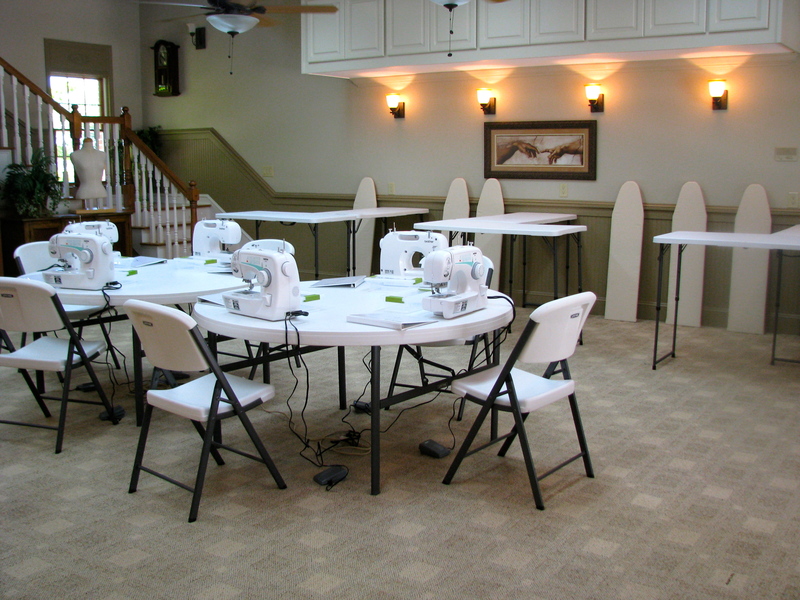 For this retreat we planned 2-6ft tables for each sewist. There are also three designated cutting areas. We’ll have 16 attendees at this retreat, and we resolved the iron/ironing board issue by requesting volunteers bring them. We’ll have a total of 7 irons and ironing boards to share between all of the sewists. I don’t have 12 feet of work space when I sew at home so I’m excited at the opportunity to really spread out and work. With this bit of information I also know I’ll be able to have my sewing machine and serger up ready to sew and I won’t have to bother with moving my machines around. I did know that I would need to bring extension cords and a surge protector. And wireless access is always a bonus, that way if I needed to access techniques online, I can do it. Selecting my projects was probably the most challenging part of the planning process. As I mentioned in my 2015 post I need to be more purposeful in what I sew. Adding clothing that will go into rotation and will be worn often. 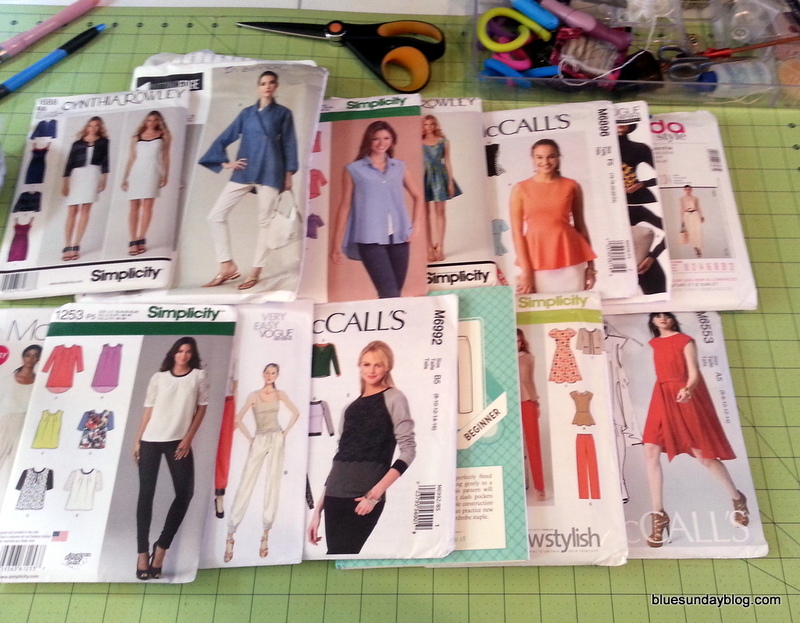 I started out by going through all of my patterns … pulling out the ones I felt would be the most interesting to sew. I ended up with about 25 patterns. Next I needed to identify which of those patterns I could sew using the fabric in my stash. With my self-imposed budget restrictions for fabric, there would be no new fabric purchases for retreat. That reduced the number of patterns by half. Whoo Hoo! I was more than half-way there! All that was left for me to do was select the pattern and fabrics I wanted to sew the most. That left me with about 6 projects. A bit aggressive for me. And I wonder how far I’ll get on them. I’m a slow sewer. Even slower when in a social situation. But at least I’m covered if my Super Hero Sewist Powers activate during retreat. 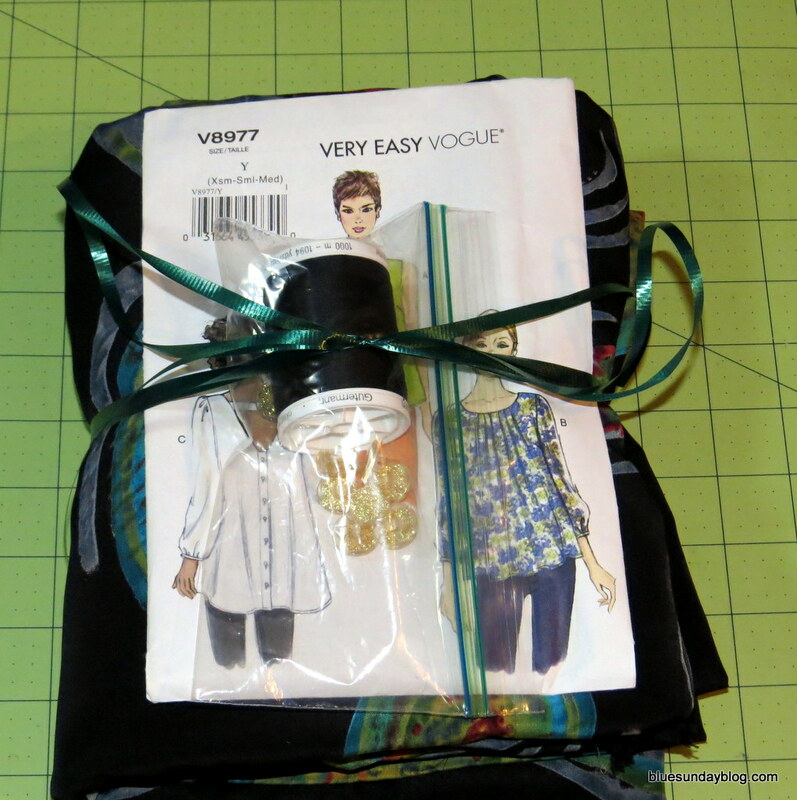 Once I had patterns and fabric, I went through the detailed instructions of each to make a list of the notions and the tools or equipment I would need. Zipper foot. Edge foot. Bias tape. Buttons. Etc. At the end of this exercise, I had two lists. The first was my shopping list for notions. The second my tools and equipment packing list. I wanted to be purposeful when packing. After purchasing my notions I packaged the pattern, fabric, and notions all together. Now when I’m moving from project to project, everything is there in place. Honestly I found several different packing lists on the web. But they were missing one or more of the items that I would need for my retreat. 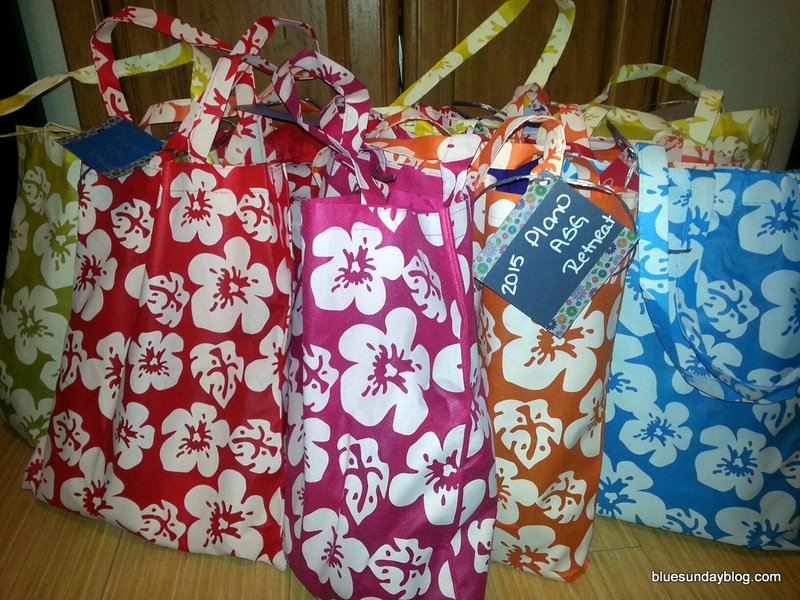 I ended up putting together the Blue Sunday Blog Retreat Packing List. It’s a list of personal items and sewing items. I distributed it to our retreat participants, I hope it was helpful to them. It definitely helped me stay organized. I’ll definitely let you know how efficient this planning process was, and if it paid off. Have you ever been to a sewing retreat? What was your experience? Oh how fab! Hope you have a brilliant time! Can’t wait to hear all about it!